It is always with that particular mixture of pride, sadness and expectant joy that Global School of Supernatural Ministry celebrates the year-end commissioning of first, second and third-year students. 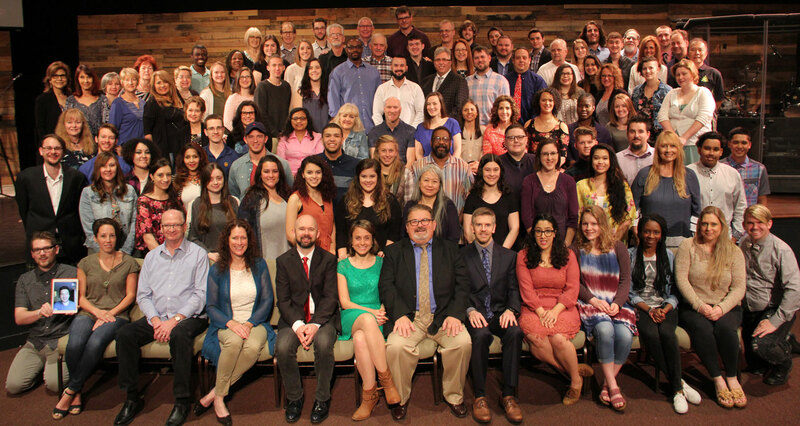 On May 4th, Director Dr. Mike Hutchings presented the 109 students of the 2017 class, Global School's eleventh. While always a special occasion, this year we celebrated the greatest number of second-year students traveling on international practicum trips, an ever-increasing number of students going on to third-year internships, every enrolled student eligible to graduate with paid tuition and fully completed curricula--and an increase in applicants for next year! By all accounts, Dr. Clark's moving, tender and spontaneous commissioning message was the highlight. It was an emotional reminder to all in our house what a blessing it is to belong to a family with leaders who are also truly fathers and mothers. You can watch the service for yourself through the player below. Learn more about Global School on the gssmusa.com website.